A UNIQUE ADVENTURE TIME AND TIME AGAIN. 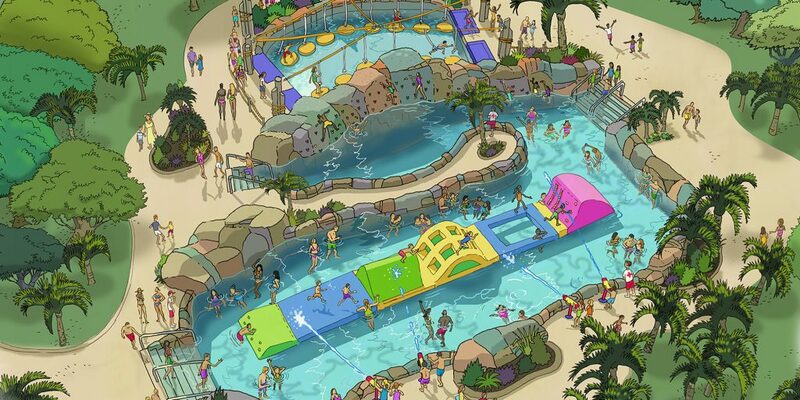 Adventure Lagoon® Skill Based Water Ride is an immediate hit with guests of all ages and easily fits in anywhere to instantly increase time on premises through a combination of exciting skill-based features and interactive play areas that appeal to the entire family. 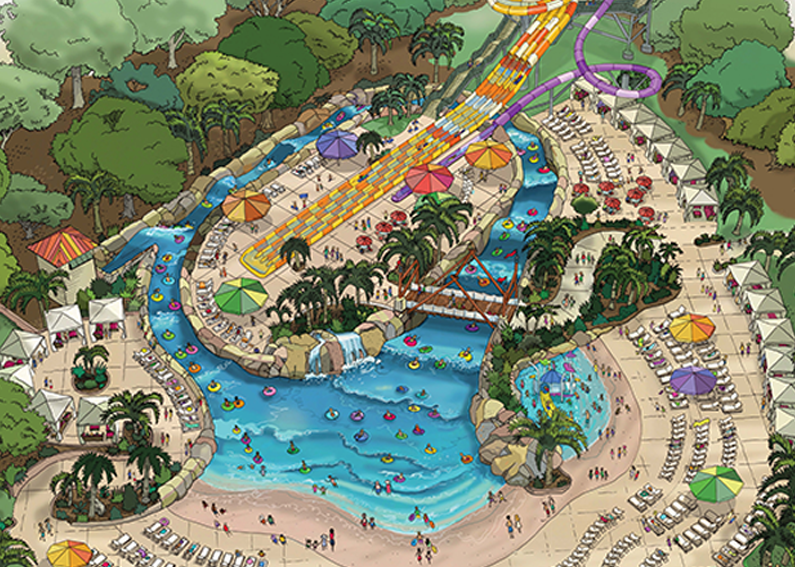 Guests stay longer when they ride again and again to master the combinations of activities found in our skill-based, active play Adventure Lagoon®. 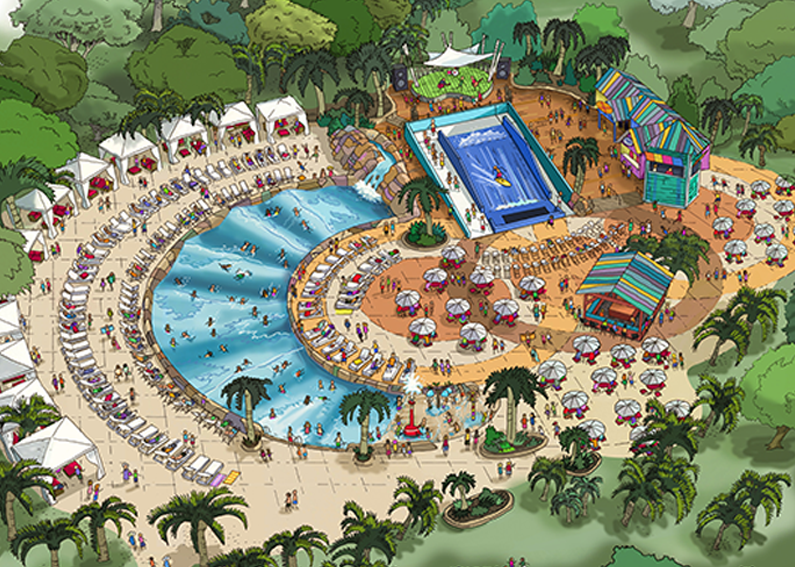 River crossings, climbing walls and inflatable obstacle courses create a unique combination of ride features that appeal to every age group and skill level. Multiple access points for easy ride entry throughout the attraction means less time waiting and more time enjoying. Place this ride anywhere! 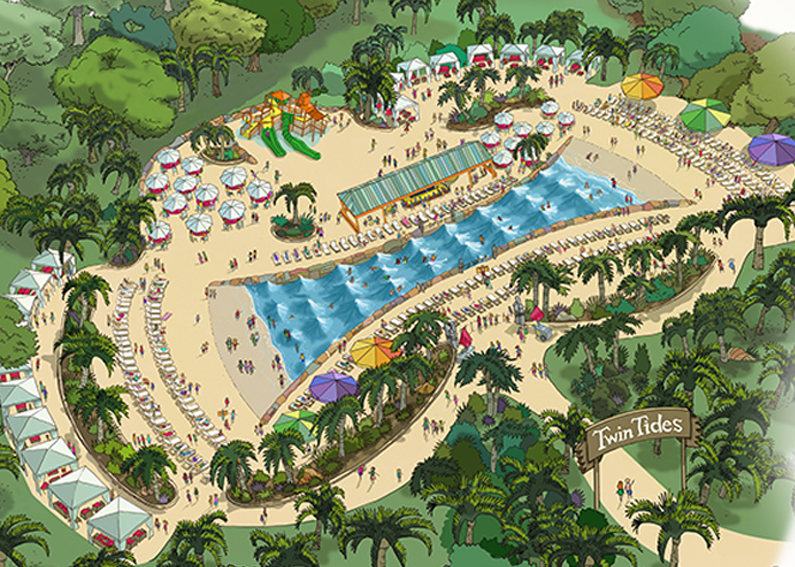 Innovative layouts fit into compact design plans and are the perfect attention grabber for guests of every age. Add external play elements, such as water spray guns, and engage participants and spectators alike with this non-stop action ride. 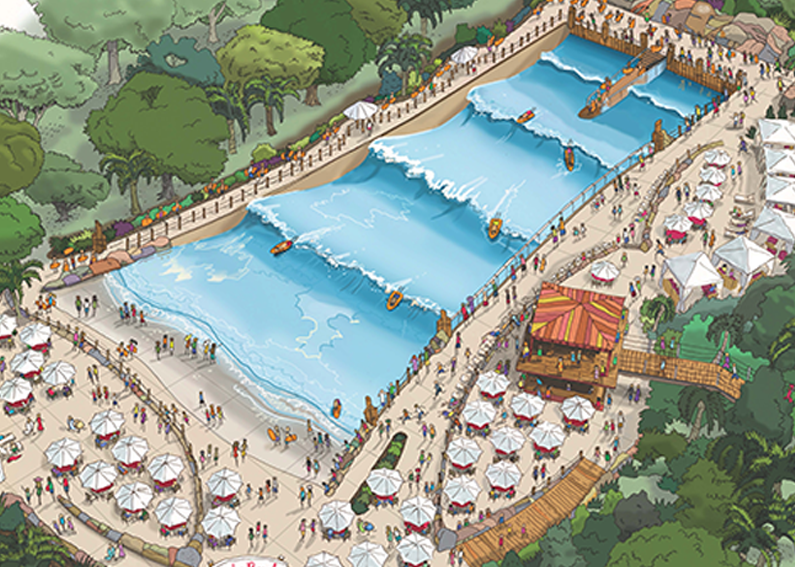 Learn more about our complete line of ADG Water Rides – your solution to creating a unique attraction designed to get people off the line and into the water, or contact us for more information on our innovative ride attractions. 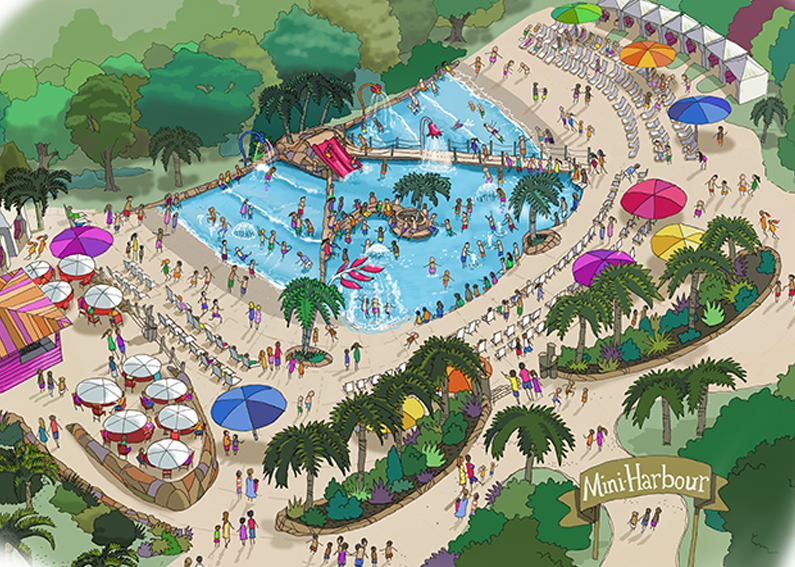 Created as a cutting edge water park with the latest in ride attractions, H2OBX included Adventure Lagoon® as one of their initial ride offerings. A revolutionary adventure attraction, it features climb, crawl and balance soft mat obstacles for a unique park experience.